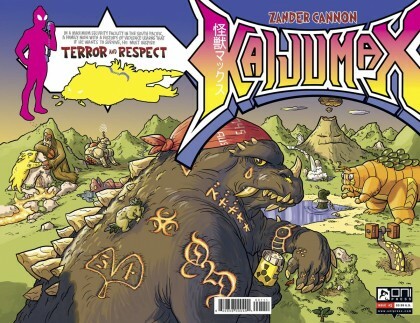 JUSTIN’S PICK :: KAIJUMAX #1: This is one of those comics > movies things. Giant Monster Prison might be kind of awkward on the silver screen, but on the paneled page, flowing from the pen of creator Zander Cannon, it just works. 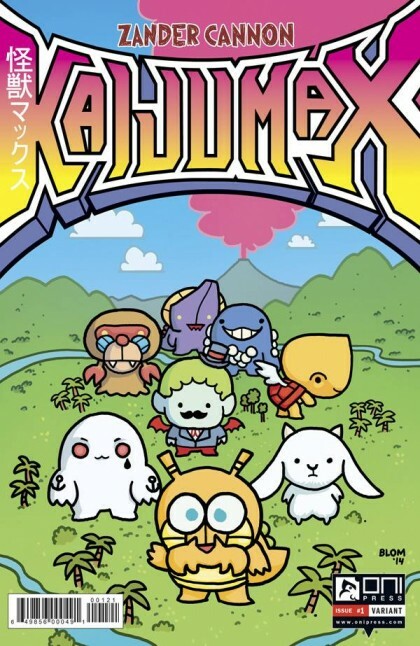 With obvious echoes of Godzilla and Ultraman, but also notes of Rampage (one of my favorite arcade/8 bit diversions of yore), exploitation cinema, and 90s gangsta rap, this comic promises to synthesize a lot of disparate elements into a delectable confection. I can’t really say why you should buy this book, other than I don’t know why you wouldn’t.